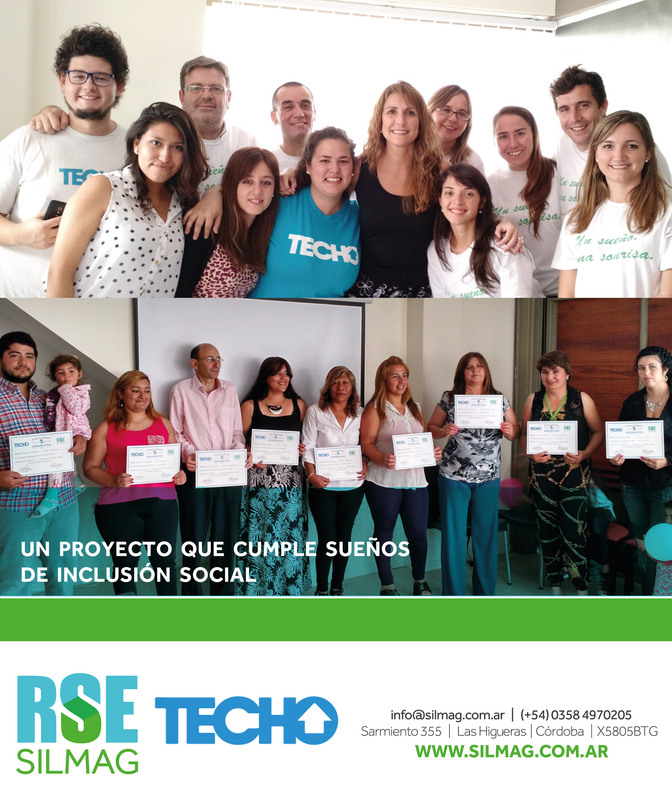 Through concrete initiatives and in cooperation with the TECHO organization, we completed the 2015 workshops. As we reported in previous newsletters, SILMAG S.A. financed (2) craft courses during 2015. These courses run by the TECHO organization help provide opportunities for equal access to the formal economy by strengthening individual and collective capabilities. Participating neighbourhoods included Villa San Francisco (Las Higueras, Córdoba), Delicias y Ranqueles (Río Cuarto, Córdoba). During a heartfelt ceremony, SILMAG workers handed out certificates to a total of 15 graduates, and organized a small reception for them.